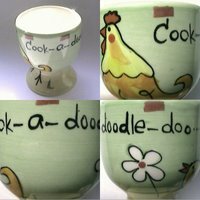 No hen, no egg. 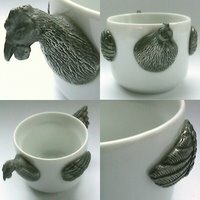 No egg, no egg cup. 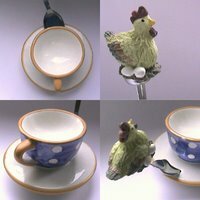 And no egg cups, no egg cup collectors! 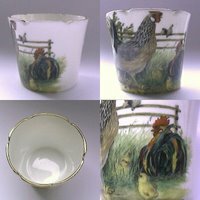 So, no egg cup collection without lots, lots and lots of pieces related to the fascinating poultry world. 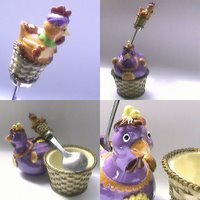 They clearly are one of the most popular animals in the egg cups' world, probably second only to rabbits. 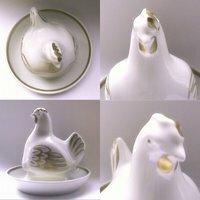 Known details: 1) fine china, made by Royal Worcester [eggcup2283]; 2) Luminarc [eggcup1101]; 3) hand-made, made in Spain [eggcup2161]; 4) fine china, made in Staffordshire (United Kingdom); 5) made by Anita Tarsted Arhus, sold by Skandinavisk Design Center Artium, Copenhagen (Denmark); 6) produced by Pillyvuit (France) [eggcup2057]; 7) "Cook-a-doodle-doo" [eggcup3424]; 8) made in Latvia [eggcup2418]; 9) made in China, produced by Silea (France) [eggcup3319]; 10) hen only in spoon [eggcup2752]. 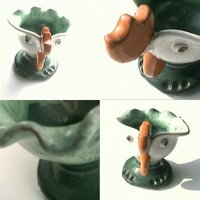 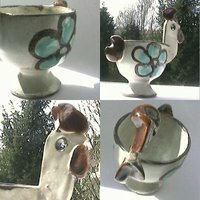 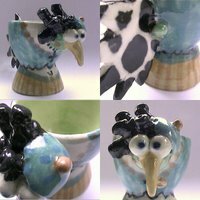 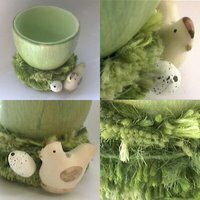 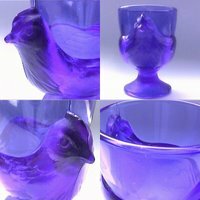 For more poultry egg cups, don't forget to click on the Little chicken egg cups post; you might also want to see this fake grass and hen egg cup from the Egg cups in unusual materials selection. 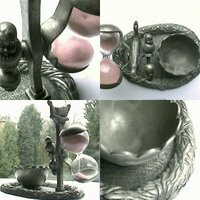 There's also a hen on the top of this egg cup with hourglass from the Antique metal egg cups post.